Quite possibly my favorite smell next to burning leaves and coffee. I constantly have this stuff burning around me. It is one of the first things I do in the morning. Softer than incense (even sweetgrass incense I've tried), the actual grass braided tightly smolders slowly. It lasts forever and has a purifying effect on my space - filling it with an earthy, calming and grounding air. It just innately feels like a beautiful thing to me and maybe for good reason. 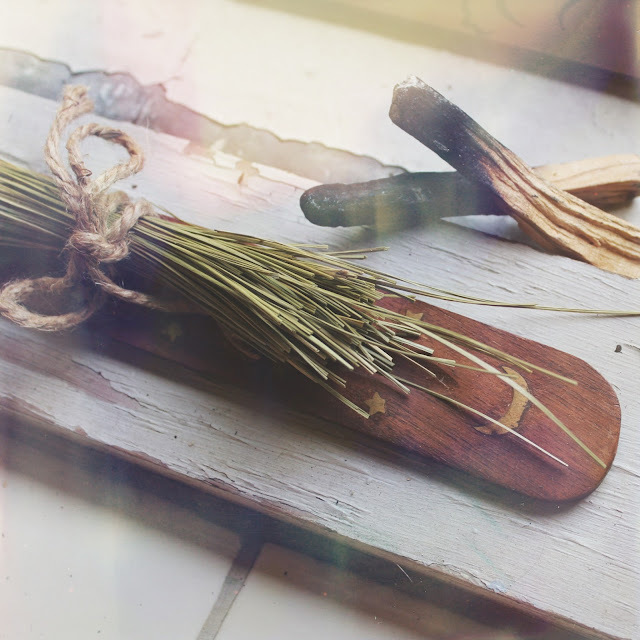 Native tribes have used sweetgrass to summon positive energies after burning sage (to ward off negative energies) during prayer ceremonies. I like to start a new day that way.